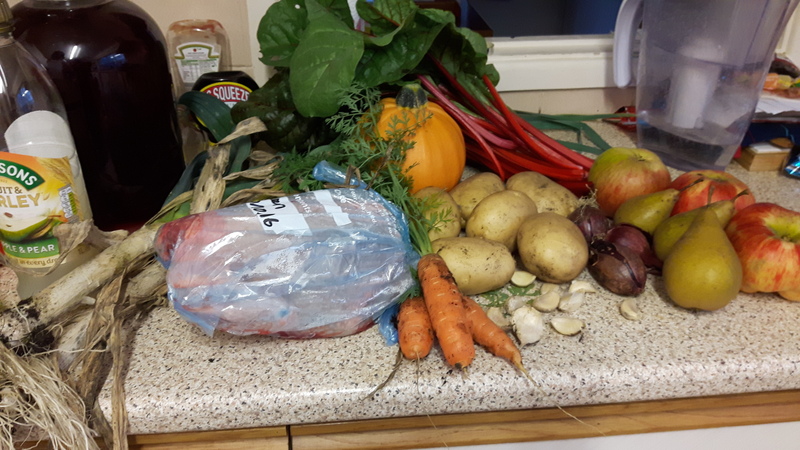 Well 2018 was a poor year for us smallholding wise. My pregnancy and then recovery meant we didn’t do much. Very limited planting, limited harvesting, no lambing, we stopped keeping geese and a lot of maintenance jobs piled up. I am finally able to get back to work a bit, although it is still limited. I’m itching to get on with jobs though. I thought I’d make a little list here of the things I would like to accomplish this year. It’ll be interesting to look back on at the end of the year. We ended 2018 by finally moving the shed in the orchard (walking a 6×4 shed was an experience), painting it, getting a (partial) roof on and moving the young flock of chickens in. I’d like to finish the house: get the other side of the roof on, perches and poop trays in and get an automatic pophole and window in. Built in, easy access nest boxes would be great. D’Artagnen and his 9 ladies seem fairly happy, except for one who insists on breaking out to lay in her old spot. She’s going to be a handful that one. Next up is improving our fruit and veg production. 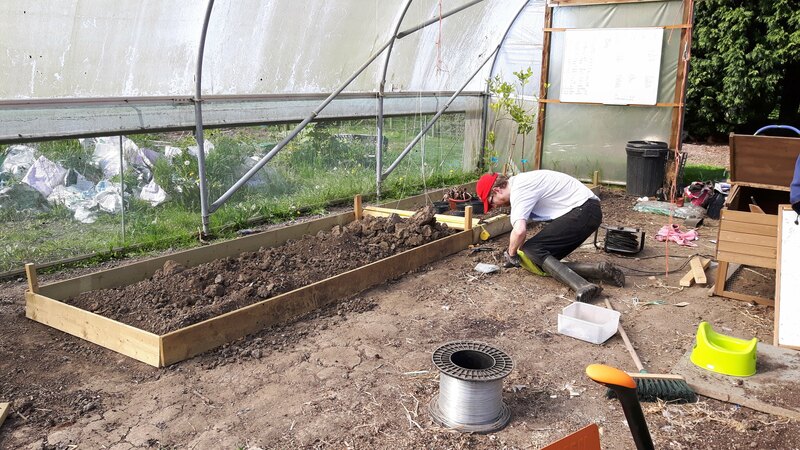 We’re halfway there with the polytunnel raised beds and I’d like to get those finished. There’s also the beds outside to raise. The fruit patch is in dire need of weeding, mulching, more bushes planting and a cage over the top. The area between the fruit patch and veg patch has been earmarked for ducks and will need fencing, clearing and seeding. 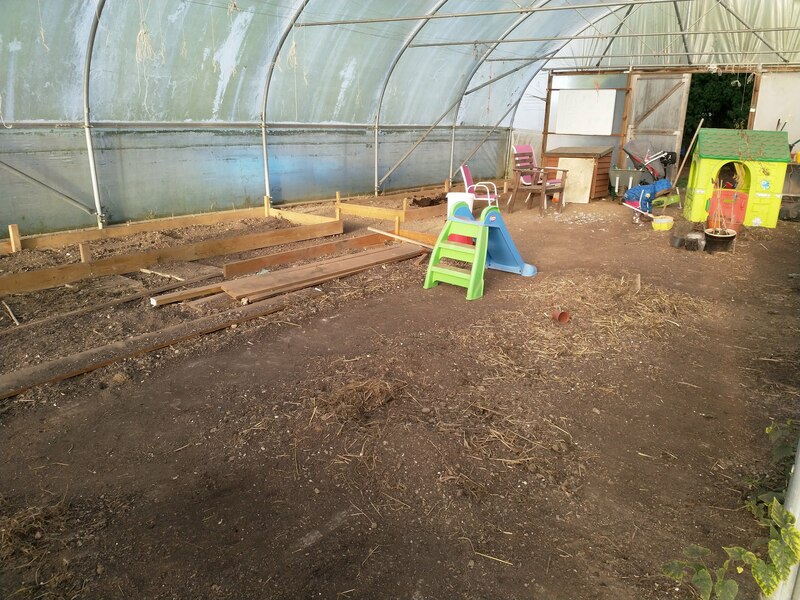 The shade polytunnel also needs clearing and seeding for next year’s chicks. 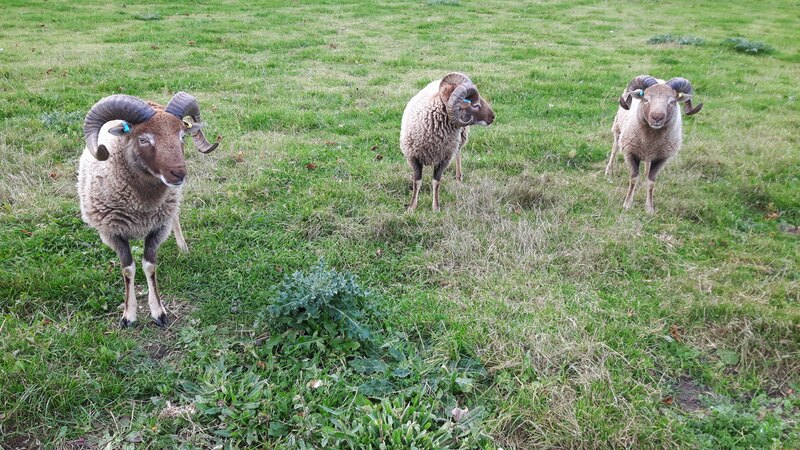 I’d also like to get some willow planted around the holding and repair a lot of fence posts that our ram lambs knocked down. 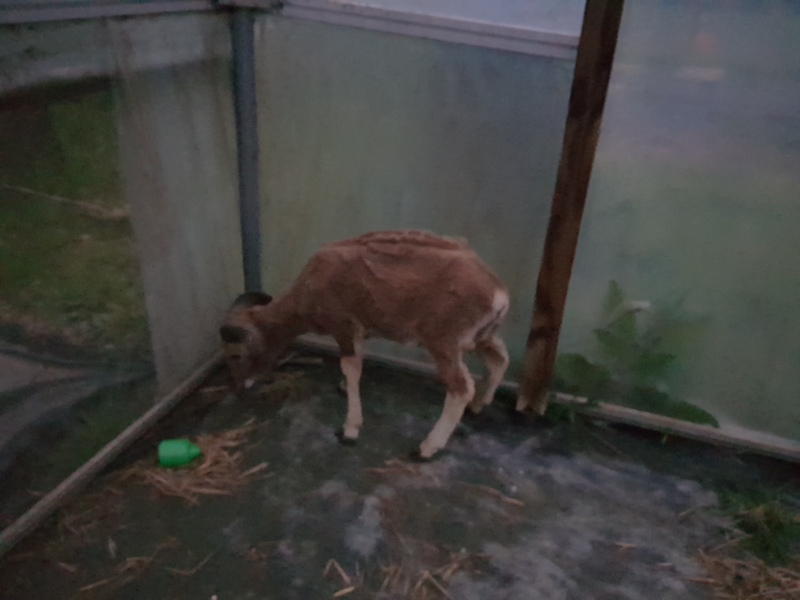 And I’d like to sort out the sheds, greenhouses and polytunnels so that we can actually find things, and maybe look into planning to replace our storage polytunnel with a small barn, we really need a better lambing place. Ok there’s a lot of jobs I’d like to take on. I don’t know that we will manage it all, but we’re gonna give it a go. One of the big things I’d like to challenge myself with is getting out 5 days a week for more than our morning and night let out/feed/lock up runs. Even being out for an hour with the kids I can still get a lot of work done. It may sound silly for a smallholder to not already be out 5 days a week but it’s something we’ve found really hard this past year. Between coughs, colds, flu, hospital admittance, bad hips, broken bones and wounds we’ve found we can actually go weeks only doing the bare minimum. And once you’ve been in for weeks it can be easy to slip into the habit. It’s not what I imagined when I thought of smallholding with children but we play the cards we’ve been dealt. I’m hoping for a healthier 2019! We’ve already managed 6 out of the 8 days outside this year (Saturday I had a smallholding wool crafting group meeting and Sunday we had guests), and I’m so happy with the progress we seem to be making chipping away at jobs. The polytunnel is pretty clear and tidy, I’ve two more cockerels in my freezer and started on the duck patch. Inside I’d love to get more comfortable with baking and finally try a quiche! Also craft a bit more, I’ve finally finished knitting Rowan’s newborn hat (which just about fits), but I’d like to start and finish more projects. Motherhood the first time round took everything, I’m hoping to carve a little more me time this time around. We’ll see how I get on with it all, I’m really excited to see what 2019 brings. Happy New Year everyone! Today is the winter solstice, when the sun sets tonight it will start the longest night. I’ve celebrated Yule (the solstice) for about 17 years now but my understanding of it has really changed since becoming a smallholder. 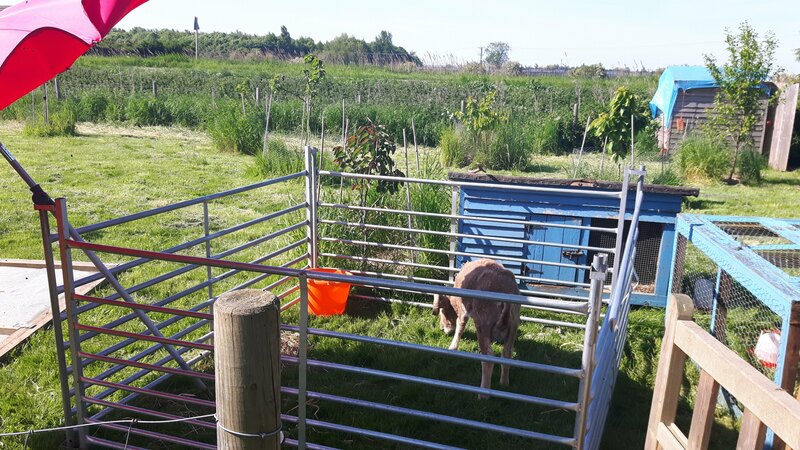 I started on this smallholding journey because I felt called to becoming more in tune with nature, not just growing our own food and raising our own animals but doing it whilst following the seasons and working with nature. It’s really worked well in that respect. You can ask Sam or I at any time of year what time sunset will be and we can tell you (we still aren’t great at sunrise, my bed calls to me too!). We can look outside and tell you how much light is left in the day. In short, smallholding has made us very aware of the sun. The shortening days have been hard on us, especially as we were doing the bare minimum during my pregnancy. The jobs have piled up and now, when I’m starting to be physically able again, the days are so short. Walking back from the sheep this morning I felt quite disheartened. Sam, Chi and Rowan are sick, Rowan with a very high temperature. I’m the healthiest of the lot but I’m still sniffly. The sheep are just finishing off the last bale of hay, I’ve never reversed the trailer and Sam still can’t drive the Honda with his broken foot. We need to move the sheep on but the rams broke a load of fence posts which need replacing. 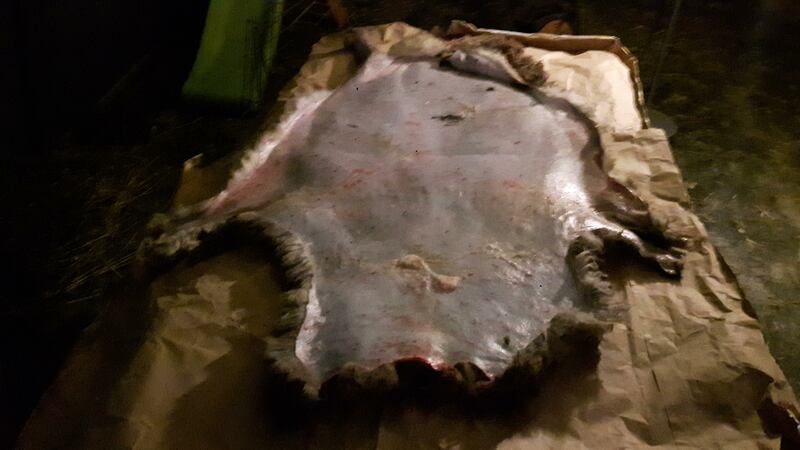 The bigger cockerels need slaughtering so that the smaller ones can grow. The new chicken house needs a roof. That’s just the urgent stuff, there are jobs everywhere I look and things have started getting muddy. It feels like an awful lot on a day where my scar is hurting and a sick baby means I’ll likely be sat cuddling and worrying if he’s getting better. Our solstice morn had been bleak, I was up for sunrise but the rain made it a bit anticlimactic. Now, walking back and feeling overwhelmed, I was blinded, the sun had broken through the clouds and was returning. The days will stop getting shorter. It was a bit of a beautiful and hopeful moment. I enjoyed it for a while and then took a picture. It’s not all sunshine and roses though. Our weather patterns are all over the place and winter has been very mild so far. I’m fully expecting things to get worse before they get better, more mud, frozen water buckets, frozen taps and snow, but the sun is returning and every day brings us closer to long warm summer days. I’m going to try and hold onto that between now and Spring. Solstice blessings to you all, may the sun shine brightly on you and your lands. P.S. Sam came up with a hay solution. We can get 6 bales in the back of the Honda so I’ll do that, which should last us until he can drive the Honda again. So this year we haven’t been doing as much with growing but there are two very prolific rhubarb bushes just by our bedroom window. I’ve never been very good at using rhubarb. I tried for several years to do rhubarb wine and it has bested me every time. For some reason I always get a smell and taste of old socks from it. 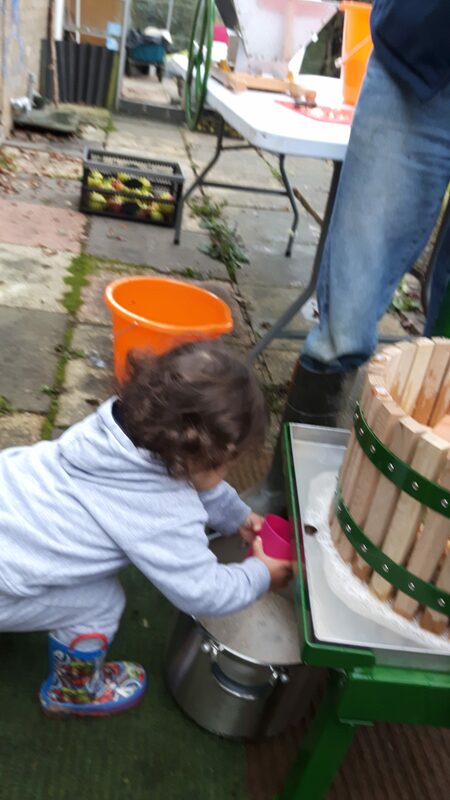 One day I will try again and I will master a rhubarb wine. My only other experiment with rhubarb is the Finnish fruit soup which comes out ok but does need cream or milk with it. I planned to change that this year. I started with the Finnish fruit cake I do but doing first an apple and rhubarb and then a rhubarb on it’s own. They were both lovely but the I really like the solo rhubarb one. Unfortunately I haven’t mastered a gluten free cake yet, the only gluten free flour our Tescos does is Doves farm and it just comes out too thick, even with extra baking powder. I tried the Tesco cake mix but due to not checking the ingredients it just came out as a molten sugar mess, my biggest baking disaster yet, it actually got scraped into the bin. I’ve bought some flour from Morrisons though and I’ll give the Tesco cake mix another try but without adding sugar. Fingers crossed I can make a decent tasting cake that my body approves of. Home made cake with home made custard is just so lovely. The next step was some jam. 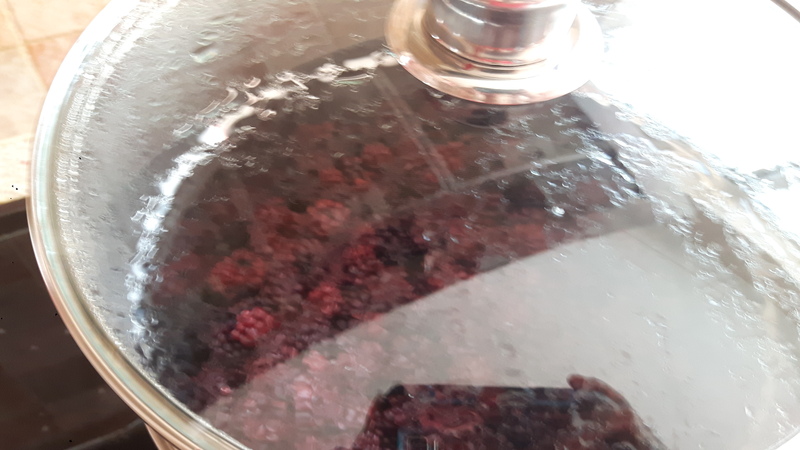 I made jam late last year for the first time and really enjoyed it, but for some reason I have had cold feet about doing jam this year. 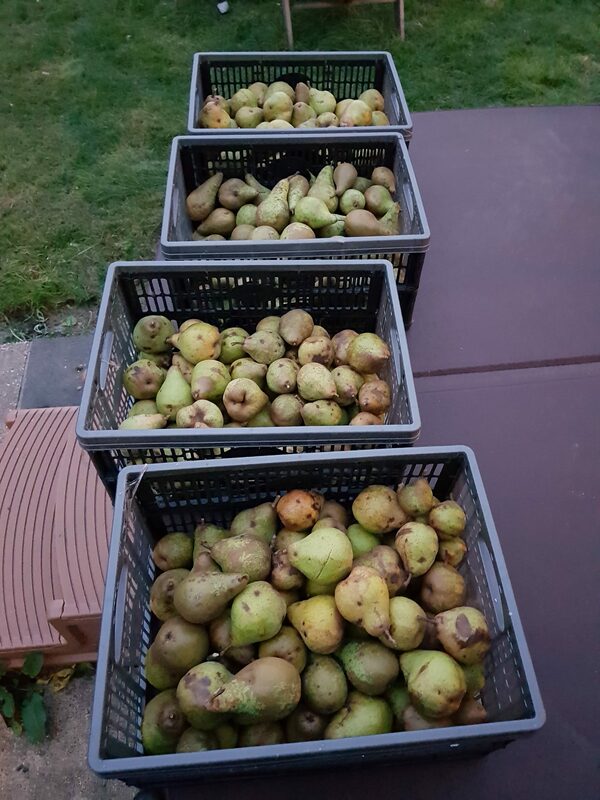 Which is kind of crazy as I am hoping to be making jams and chutneys for sale next year as an added income from our fruit trees. I finally bit the bullet when Chi was settling in for her first long day at a new nursery. She seemed to be settling well but I wanted to be close to the phone and not too tied into a job. The rhubarb was also getting a bit overgrown at this point too. I’m very glad I gave it a go as it really is simple and Chi had us down to our last jar of jam (blackberry), she really does like jam on her toast and porridge. The rhubarb and vanilla worked well but I was a bit disappointed that it wasn’t as sharp as I was hoping, in fact it was really a bit too sweet. I’ll try again with less sugar and see if I can get one to our taste. That said Chi loved it on her porridge and Sam enjoyed it on his toast. The recipe was taken from the BBC and is simply equal amounts of sugar and fruit (1kg) with 2 cinnamon sticks stirred until the sugar dissolves, then the juice of 1 lemon added and proceed as you would for any jam. You do have to scrape the scum off the top though, we used a metal spoon for this and once cool Sam gobbled up the scum! Waste not want not here. Lastly I’ve had my first go at a cordial. I found this a bit daunting too, but that seems to be a trend for me with new skills. It was really simple once I carved out the time for it, another day of Chi at nursery where other commitments meant I couldn’t get stuck into a big job outside. I used another BBC recipe for this one, using an orange and a lemon as well as rhubarb. I was meant to use ginger too, and even had it in the house, but completely forgot to add it. Maybe for the best as it would be nice for Chi to have this and I’m not sure how the ginger will affect her liking of it. I have to say that I’m not sure I did it quite right. I did it in the jam pan as that is easy to pour from and I don’t know if the thicker bottom will have affected things. I also think I left it too long. The recipe said ‘until the rhubarb is falling apart’ but I wasn’t sure if that was just some of the rhubarb or all of it so I waited until it was all coming apart. The cordial was very thick. The recipe expected 600ml to be produced but I only got about 250ml until I pressed and squeezed the bag with a metal spoon. I ended up with about 400ml which seems like very little. The rhubarb I used was quite old though, very thick stems, and the weather has been quite dry, so it is possible the fruit itself had less moisture to give. 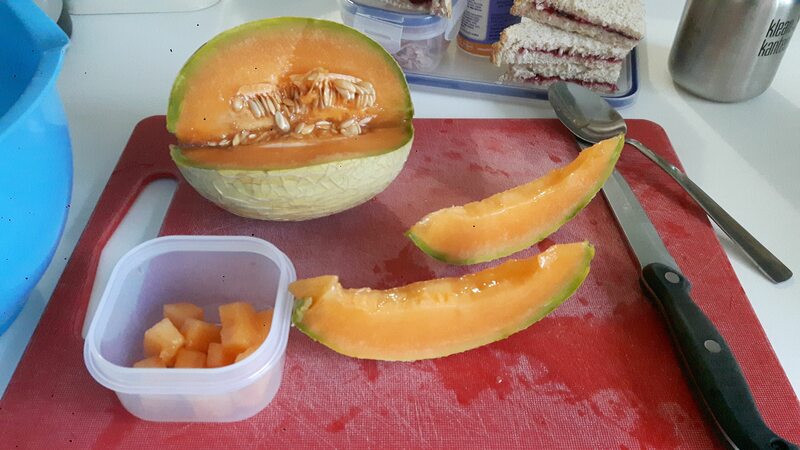 It is lovely and tasty though, maybe a bit more orangey in flavour than I was expecting,. the ginger may balance that out. I had heard that cordial needs to be stored in the fridge so I called Vigo Presses to see if I can pasteurise it for a longer cupboard storage. We bought our pasteuriser and apple pressing kit from them a couple of years ago and I am still really happy with their customer service. They said I can absolutely pasteurise it but also suggested using a steamer to produce a cordial that will store in the cupboard without pasteurisation. As I only got 400ml this time I haven’t bothered to pasteurise but we do have a Mehu Liisa in the cupboard that I think I will use to make the next batch of cordial. It came straight from Finland so doesn’t have English instructions but I think I will ask my mother in law or some of our Finnish family for help with it. It looks like it will take a lot longer than just on the hob but it can be left and I like the idea of not having to pasteurise separately. I might also get a better return. I think I’ll do another post about that when I get around to giving it a try. We’re only in our 3rd year of hatching chicks but the learning curve has been steep. 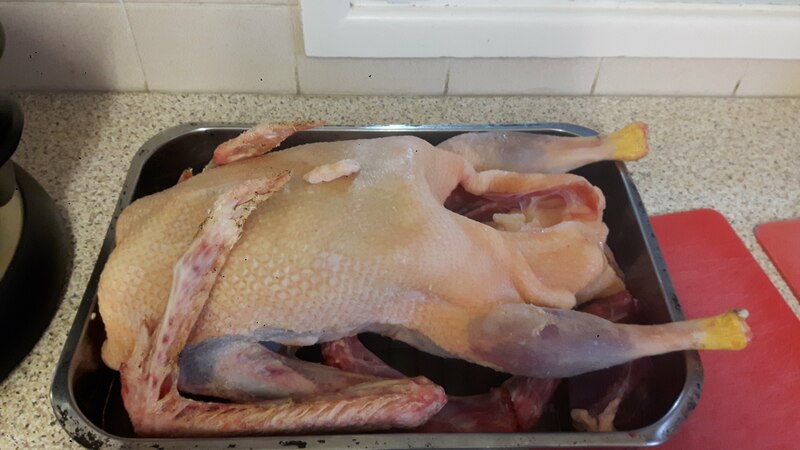 We started not knowing much at all about chickens, then through reading blogs, articles and books and asking lots of questions on forums and Facebook groups, we have found our footing. I feel quite confident now about hatching chicks with a broody, although there is always more to learn! 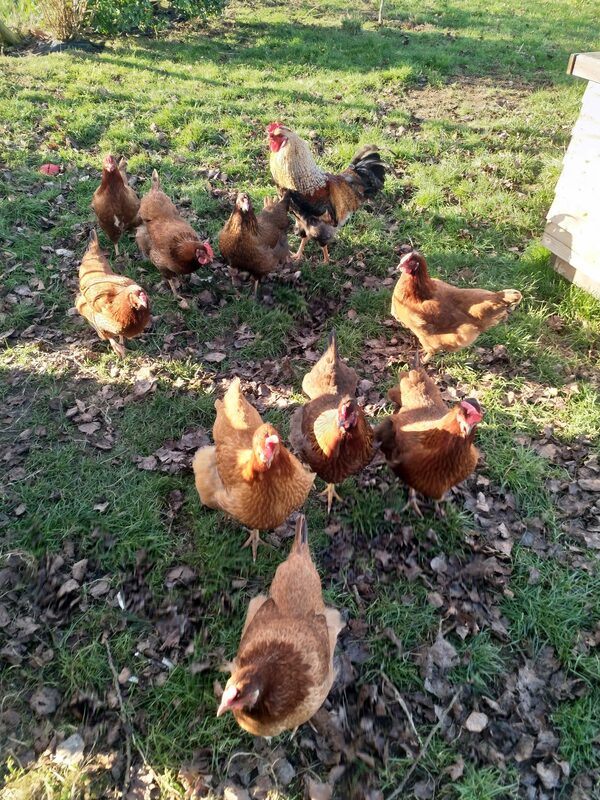 I’m on a few smallholding/chicken related groups and I’ve found myself answering a lot of questions with the general gist of ‘help my hen is broody, what on earth do I do?’. I’ve always given a detailed response as to what we do and then to my surprise others, who seem very experienced, liked my suggestions and even better the original poster would come back and say that the advice helped. Given that I learnt through others being generous with their knowledge, it feels really good to be able to give back. So that is what I am doing here, hoping to write a post that someone can stumble across and be helped by. 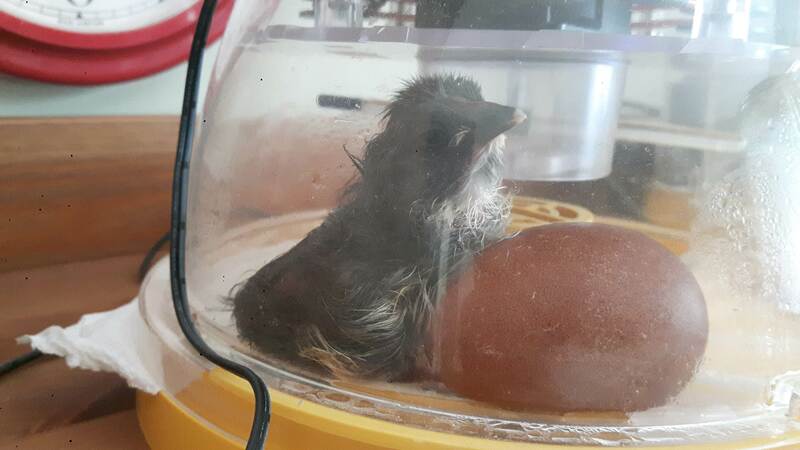 So you think you have a broody chicken, what now? Firstly is she really broody? 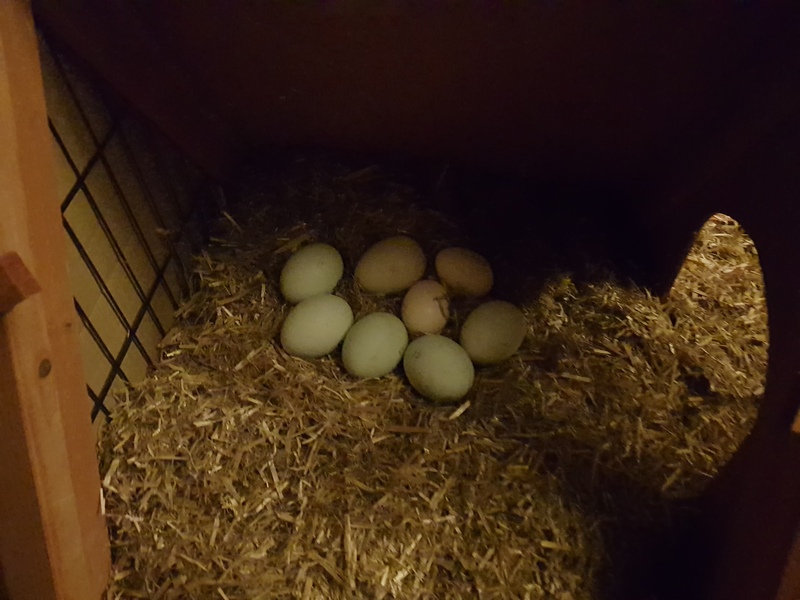 One of the signs of a broody chicken is being in the nest box overnight (or even worse, being missing over night due to sitting somewhere else). There are other reasons for this though. Your hen could be being bullied by the others so not able to perch, they might not be used to perching or could be avoiding the house for some reason such as red mite. They can also start sitting simply because other hens are sitting in the house. They won’t actually want to sit on eggs though and will be very flighty if disturbed. A really broody hen will be in a nest box most of the day, not just at night. If you try to remove her from the nest to get to the eggs underneath her she will be very resistant to moving and may well peck at you. So the chicken is definitely broody. The next step is to decide what you want to do. This is really important, depending on the hen if you just leave her with infertile eggs or no eggs she can waste away. It’s not healthy. If she does steal eggs from other hens they can be a variety of ages and she can potentially collect too many. If she has too many under her then they don’t all get the right conditions, develop at different rates and possibly not hatch at all. 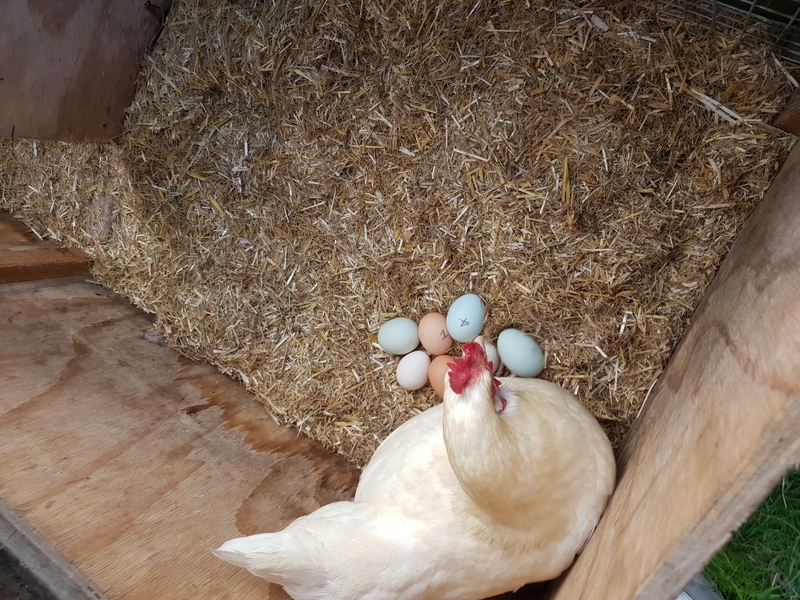 I know of someone who had a hen sitting on 20 odd eggs and only had 1 hatch of the lot. Lastly you need to think about what you will do with the chicks. Odds are 50% will be male, can you keep the males? Rehome them? Both have their own difficulties, males can sometimes fight between each other and not many people want to home a cockerel. 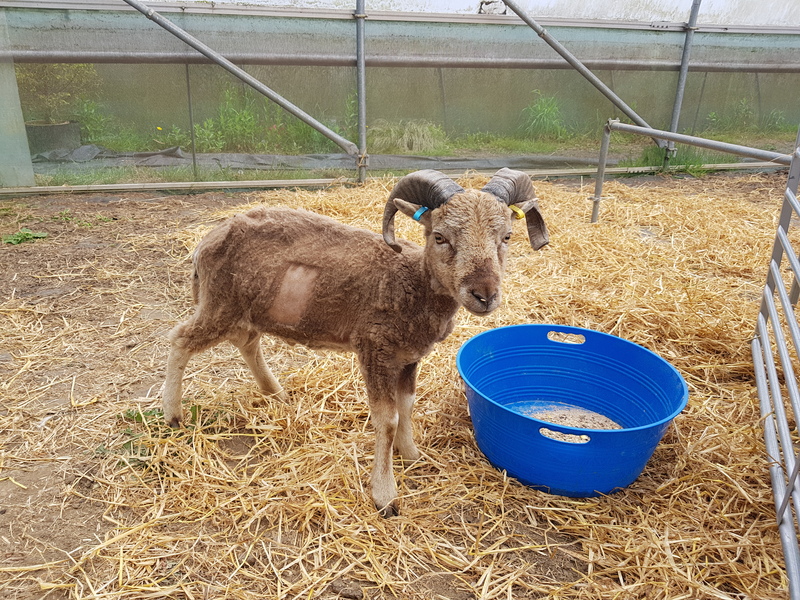 The last solution for the boys is the pot (which we do) but you need to think about if you will do the deed yourself or send them off to a butcher. The hens are less complicated, you can eat them, rehome them or keep for egg layers but do make sure you have a plan in place. There’s also the extra costs of feeding the chicks as they grow which you should take into account. It’s bad practice to breed any animal without a plan for its life. So, once you have had a good think about it all, you have two options really. The first is to help the hen to have a clutch of chicks and the second is to break the broodiness. Now we hadn’t previously tried to break a hen of being broody, although we have had some give up on us. We are having a go at breaking a broody hen (Carrie) as we have enough chicks and she went down with wry neck when she was last broody. I’ll let you know how it goes. Having no personal experience with breaking a broody I can only regurgitate the standard advice. A wire dog cage raised by some bricks at each corner with food and water inside. The aim is to get cool air blowing underneath her and no way for her to nest. Leave her in there for 2 or 3 days (making sure she is safe at night and no predators can stress her) then let her out and see what she does. If she goes back to the nest then back in the cage (sin bin) again for a few more days. It should work. 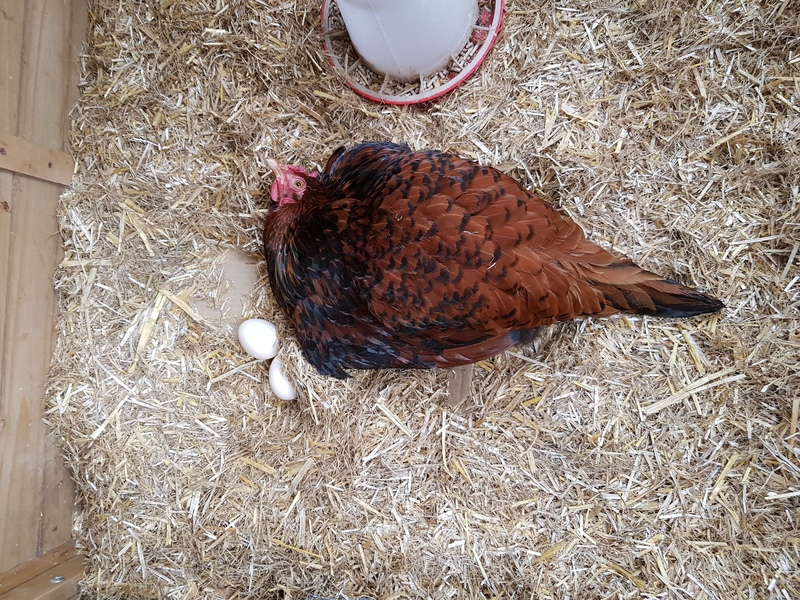 We have also had hens break broodiness by being disturbed too often, but this isn’t guaranteed and they probably weren’t going to be the best broody hens anyway. If you’re letting your hen sit then you need to support her through the process. Ideally she needs her own accommodation. Other hens will badger her to get to the nest box, stressing her out and laying eggs in the clutch that you will then have to sort through. When the chicks do hatch there is a danger that other hens may attack them if they can and also the potentially for the other hens to eat the chick food, which if it is medicated is a big no-no. A broody coop needs some certain features to make life easy for you and the hen. The most basic requirement is to be predator proof. Rats will take eggs and chicks from under a hen. Corvids will steal from nests too. Worse still a sitting hen can go into a trance like state, no challenge at all for a fox, think of the term ‘sitting duck’. A solid bottom so no one can dig underneath, a covered top so no one can swoop down and solid/wired sides so no one can wriggle in and you’ve got the basics covered. 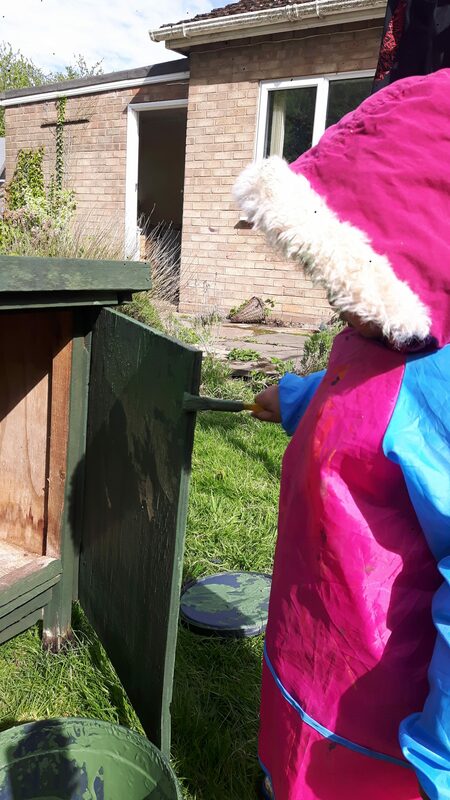 Small pet house, our first broody coop which was far too small. A nice dark area for her to nest in is good. Large enough for once the chicks start running around a bit too. If you can have a covered area with more light that’s great too, the food can go there undercover and gives then hen somewhere to stretch her legs a bit if it is raining. 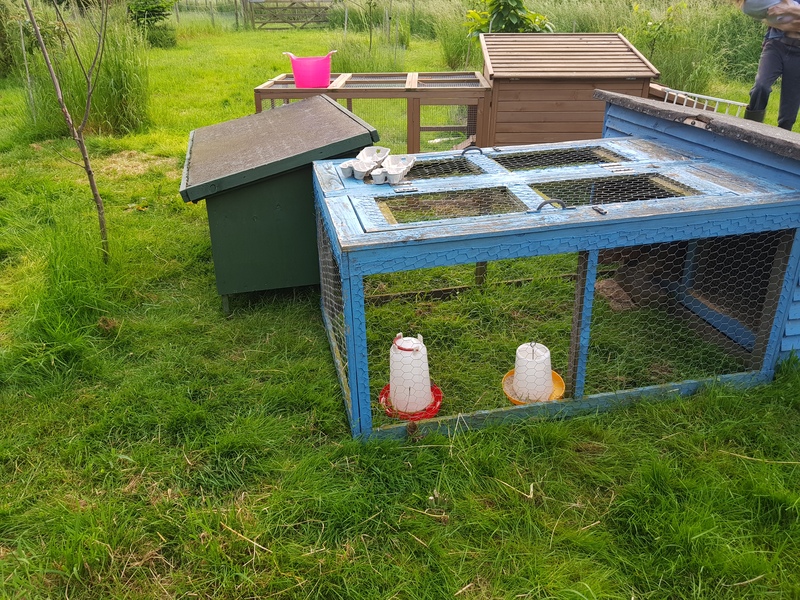 An outdoor run is a great addition as when the hen does stretch her legs she can do a bit of digging for grubs and vegetation as well as the standard poultry feed, a varied diet is good, it also gives her a great protected space to show her chicks the world. For your ease something that allows the roof to open will be helpful. You can easily check on the hen then and push her off if needed, grab eggs to candle and introduce chicks after dark if needed. So you have accommodation sorted now you need something to sit on. If you don’t have a cockerel your eggs will be no good. If you have someone selling at the gate locally it may be worth asking if their eggs are fertile (we have had people do this with us). You can also buy in eggs, some breeders sell them for you to collect and there is wealth of eggs on places like ebay that can be posted to you. There are pros and cons to this. We have been able to source a wide variety of breeds that we just couldn’t get from our local area by buying via ebay, but we have also had hatched chicks that look nothing like what the breed should and had some truly awful hatch rates (1 out of 6). It’s a gamble and if you can collect eggs in person I always would but if there is no one locally selling what you want it is worth trying a posted batch of eggs. Hens can also incubate other breeds (ducks, turkey, geese etc) but I haven’t tried it so I can’t comment. Once you get your eggs let them sit point down at room temperature for at least a couple of hours. If it’s your own eggs then as long as they are 10 days old or younger they should be ok. Viability drops off after that. We generally wait until after dark to set eggs under a hen. 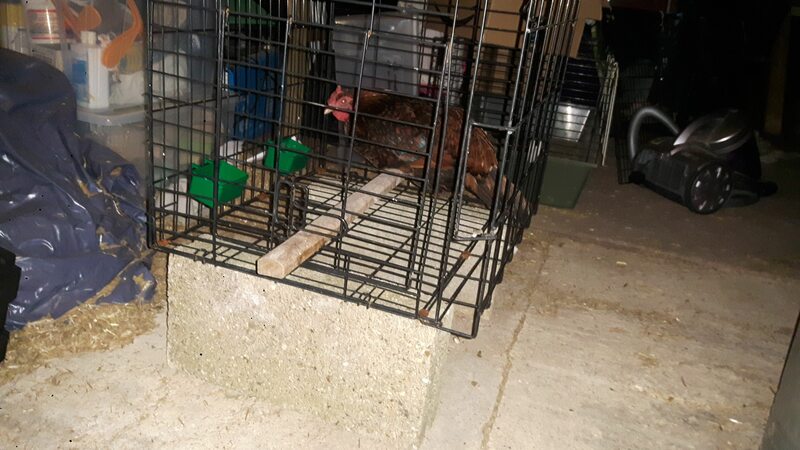 All chickens get more docile after dark and are much easier to move and to fool. 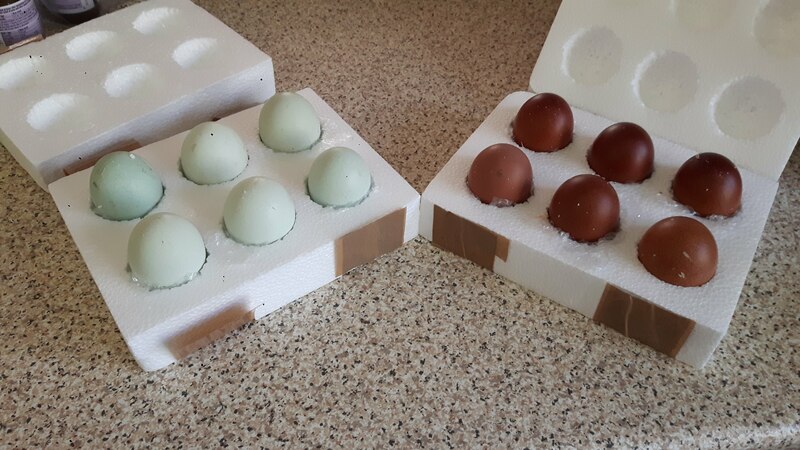 The postal eggs all get candled now to check for cracks (white, cream and blue eggs will show this, possibly light brown but with dark brown eggs you’ll likely have trouble seeing much). I also write a number on each egg in pencil, going over it several times. The eggs get placed in the broody coop nesting box and the sleepy hen popped on top of them. The next day I check on the hen several times. It’s ok if she is off the nest for a little bit. It’s less work for you if she is able to get herself up to eat, drink and poo. If the hen is out of the nest every time you check and pacing up and down searching for a way out then you may be in trouble. It’s worth in this case letting her out and seeing what happens. 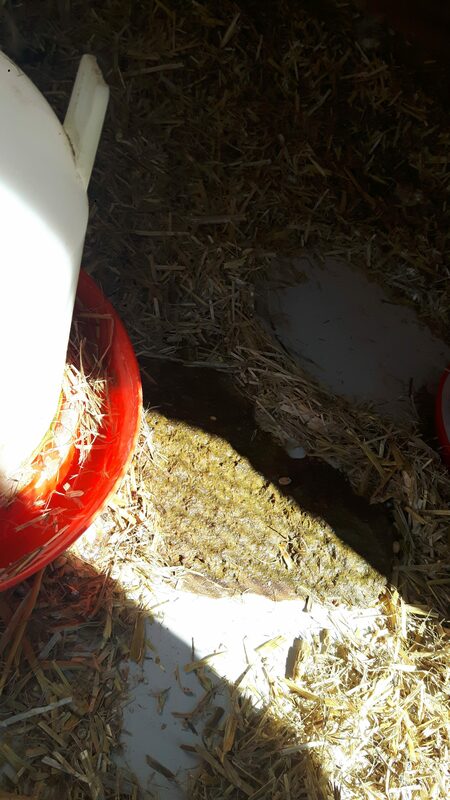 If you find her in a couple of hours back in the main hen house (or trying to get into it if you have a penned system) then she has probably imprinted on the place she was nesting rather than onto the eggs. Take her back to the house and shut her into the nesting area for a day or two, she’ll imprint onto these eggs and nesting area. If she is walking about as happy as Larry and showing no signs of being broody at all then she was fickle and you no longer have a broody hen. If you had left her in the house where she had been sitting she’d have likely gone off the nest at some point later. We had this happen with Aurora, she appeared broody but bolted as soon as she had the chance. As you can get fickle hens we always test a hen’s broodiness post move now. So we place either rubber eggs or some eggs we don’t care about hatching or eating from our flock (generally small eggs that may or may not be fertile) into the broody coop and put then hen on them. If she sits on them for a day or two we give her the fertile eggs we want hatched. To do this we wait until after dark and then lift her up to take the temporary eggs away and pop the new ones under her. It only need be 1 or 2 temporary eggs you give her, hens can’t count very well so she won’t be bothered by 2 eggs being replaced by 6 or even 9. So now you have a broody hen, sitting in a broody coop, on a clutch of eggs you want hatched. Give the hen access to her normal feed and water and a little bit of corn each evening might tempt her out. 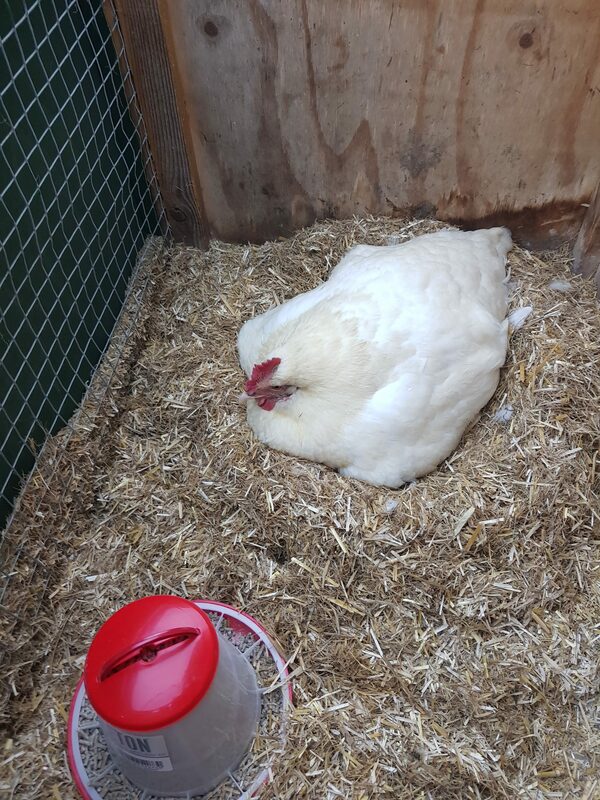 We push our broody hens off the nest every 3 days if there are no signs she has been off the nest (changed positions, been seen off the nest, broody poo to clean up). If we think she is getting up herself we leave her be. I should say something about broody poo, it is quite awful stuff, huge and smelly. You will know it when you see/smell it. It’s more of a cow pat in consistency than a chicken poo. Do be prompt at clearing it up and do check the nest. 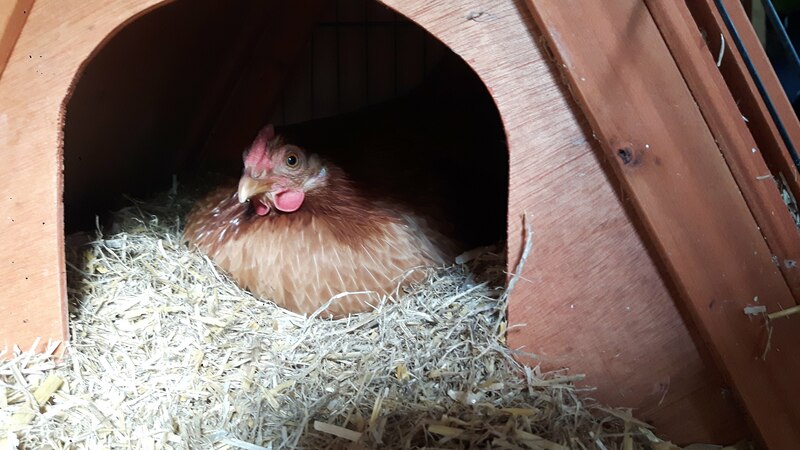 Some hens that don’t get up have been known to poo in the nest getting it on not only the bedding by the nest but also on the eggs themselves and eggs that are kept warm for 21 days with poo on them aren’t good for anyone. Keep feeding and pushing off your hen if needed. You are all set for the broody hatching process though. My next post will be about what to do while the hen is sitting and getting ready for the eventual hatch. 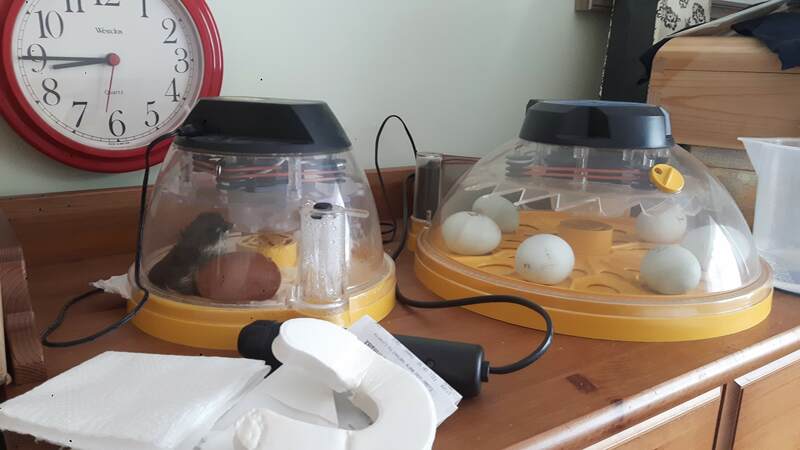 I’ll do another after that about what to do once the chicks are hatched and then, if I haven’t already covered it all, a trouble shooting post for all the little tips we have picked up when things have gone wrong! I hope that one day this is all helpful to someone and if you’ve seen something in here that you think is wrong or you think ‘I wouldn’t do that’ please do tell me, we are still learning and always open to different views on how to do things. 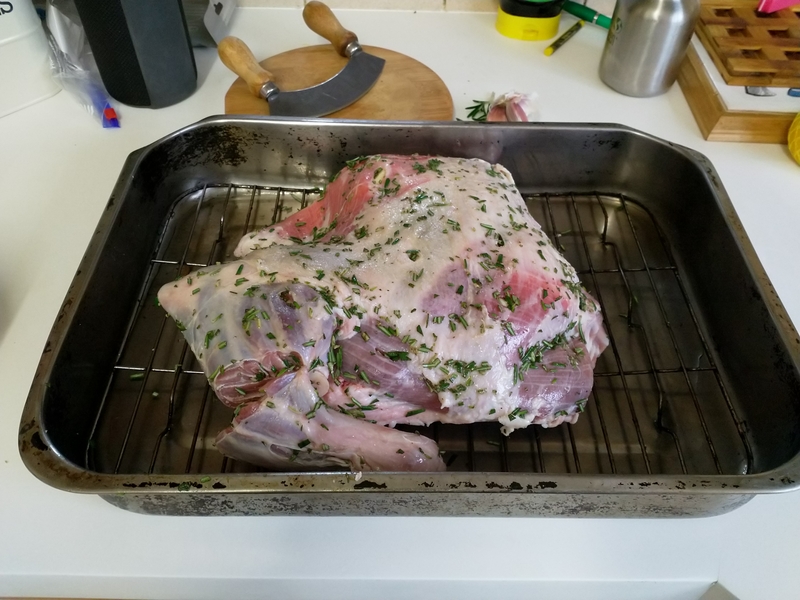 One of the wonderful, and potentially stressful, things about smallholding is the scope. There is so much more than simply raising animals and growing crops. 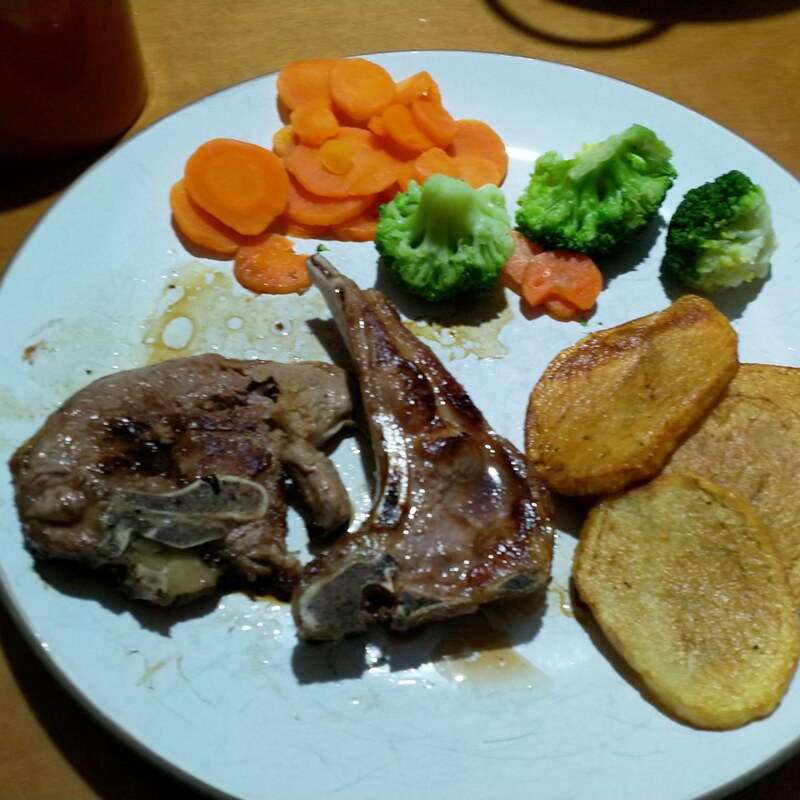 What will you cook with all these varied ingredients? 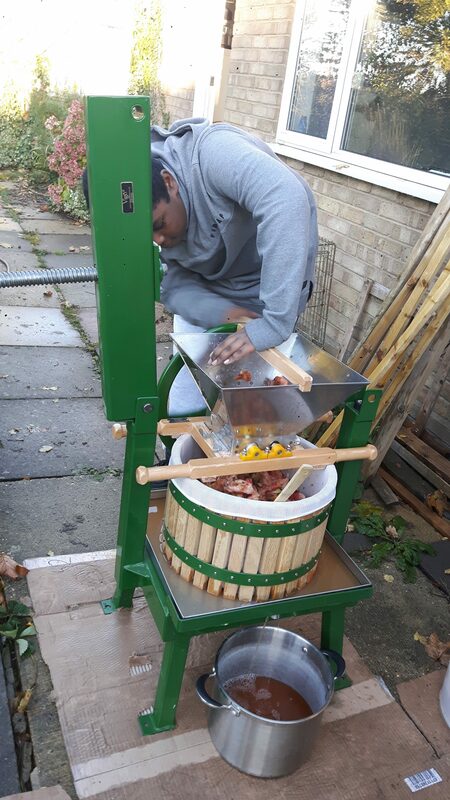 Will you get into preserving such as dehydrating, jams, chutneys, sauces, pickling, juices, homebrew, cordials, vinegars? Then there is dairy production, churning your own butter, yoghurts, cheeses, ice creams. What about baking, savoury and sweet? The desire to smallhold often comes hand in hand with a desire to be more self sufficient and also to have a lower impact on the planet, smallholders are often quite eco aware. Are you going to make your own cleaning products like soaps? What about building things for yourself? From BBQs and sheds to smokers and solar panels, smallholders often tackle it all. What about carving with wood for art rather than function? Today I wanted to talk a bit about the crafting with wool. This is something I was passionate about for a few years. In the space of a couple of months whilst we were Scotland, with the help of youtube videos, I taught myself to knit. I wasn’t very good to start with but I worked at it and became quite competent. My Mum juggled being a seamstress alongside nursing but I have never been very good with the sewing machine. I fell in love with my new found ability to make something. It also allowed me to sit down and still feel productive, a bonus when you have a strong drive to always be ‘doing’ but a body that isn’t very healthy. I had a little dabble at crochet but the confusion between US and UK terms seemed to put me off. I can turn my hands to most knitting without much thought but crochet takes much more concentration for me. I then discovered fibre. I could knit with real wool and using ‘spit and splice’ to join wool was a revelation that made me look at my stash of acrylic wool with a bit of disdain! Then of course came the need to know more. What about spinning? 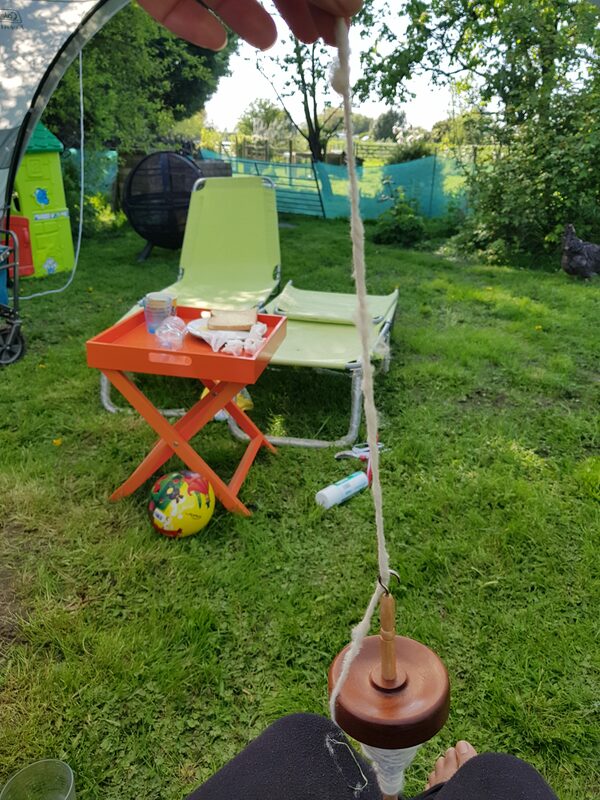 A wonderful man showed me how to spin with a drop spindle made out of a twig and CD using bits of wool we collected from the fences in a field whilst camping. I was soon the owner of a drop spindle and a lot of roving. Suddenly I was presented with a lovely gift of a spinning wheel. Well once you are spinning it makes sense to go to the source and I ended up with fleece, both that I had bought and that I had been gifted with. That required processing and after a very lucky Christmas I had a drum carder. Now I had too much fleece to spin and I ended up buying a peg loom to turn the growing pile of fleece into gifts one Christmas. I even bought a dying kit but never plucked up the courage to use it. My mother in law presented me with a huge loom that is wrapped up as individual pieces, I still haven’t plucked up the courage to unwrap it and put it together yet. Can you see how it is a slippery slope? At the very least I was always walking with at least one knitting project and I mean that literally, I could walk and knit at the same time. Then I had my daughter and my focus switched to mothering. I didn’t seem to have time between moving to the smallholding and trying to raise her to do much crafting. I have tried a couple of times to pick up a knitting or crochet project but it has been slow progress and I have had very few finished objects since I had her. I have managed to make two peg loom rugs which are getting a lot of use. 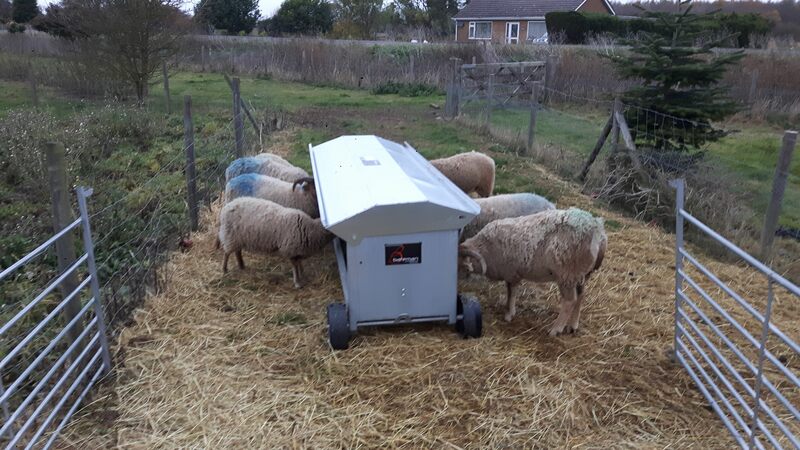 I did a demo on it at an event for our smallholding club which re-ignited the flame a little. 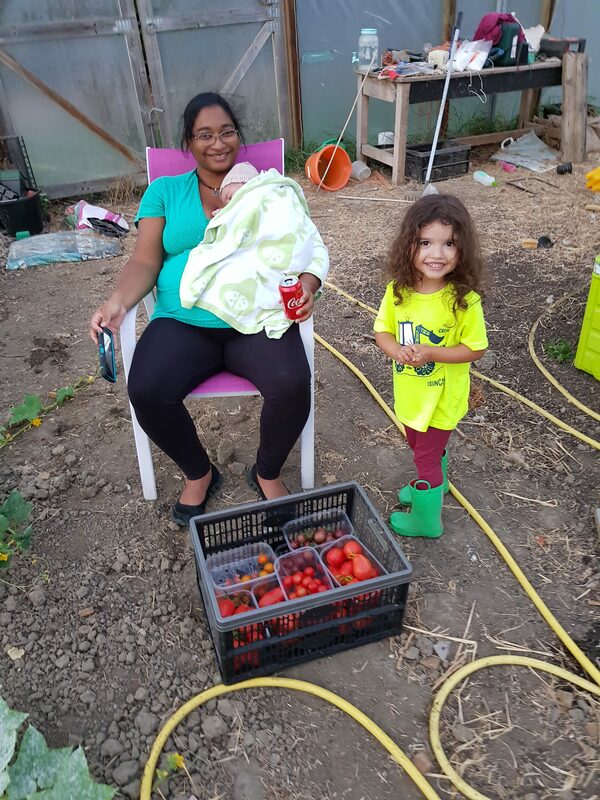 Our smallholding club (which I love) has been having a wave of starting up small interest groups (winemaking, wooly crafts, cheese making adding to the existing music, growing and baking groups). 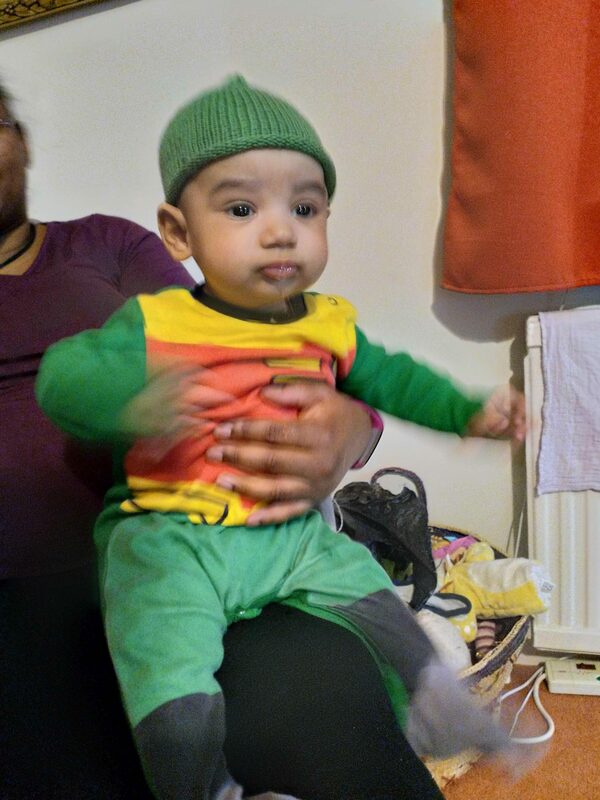 Despite being pregnant and seeing the imminent demise of ‘me’ time I signed up to the group. We have only had two meetings (one a month) but my word my passion for crafting has been reignited. After the first one I took some time to grab the rovings I made about 5 years ago and dusted off the drop spindle. I need to work on my technique again but it’s at the very least smoother than when I first started with it so I haven’t slid too far backwards. Next we had a felting meeting coming up. I had briefly dabbled with needle felting whilst at a camp last year. I made a very thin crescent moon and then forgot about it all. 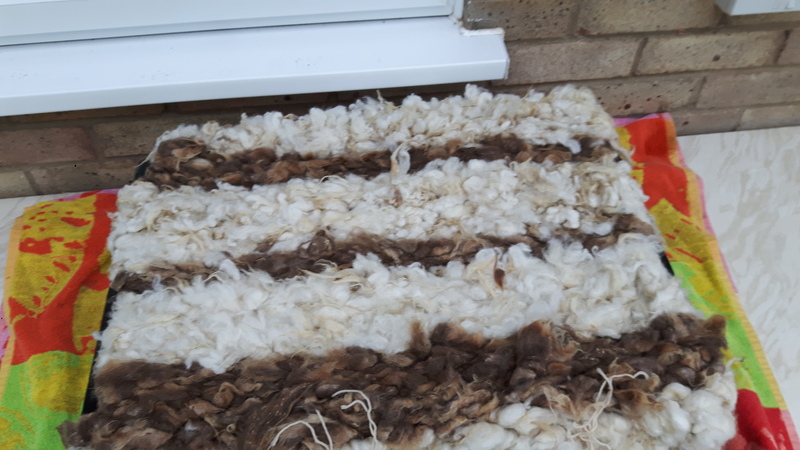 The aim was to do something with the bits of our fleece that are too small to be used in the pegloom rugs (the main destination for our fleeces). I figured I might be able to pick up some tips at this meeting so I dusted it off, grabbed some raw Castlemilk wool that I had bought when smallholding was still a dream and had a go at making a sheep. 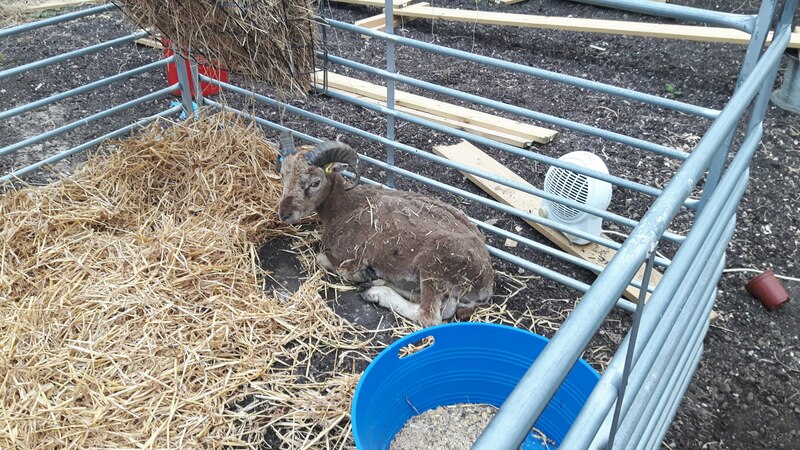 It’s certainly mammalian, I’m not sure if it is a sheep and you haven’t got much of a chance of guessing it was meant to be a Castlemilk but it was a experiment and I was quite happy. It took me about an hour. My awful start at knitting gives me hope that I can master this skill, I won’t be put off by a rough start! The felting meeting was great, we made a wet felt flower with pre-dyed wool and it is something I can see me doing with Chi. It was meant to be a poppy but it came out quite big so I’m not sure I will wear it but it does look lovely. It’s something I can see myself doing during the summer months with Chi. Following that I decided to have a go at the needle felt sheep with clean, carded wool. I bit the bullet and decided to give washing fleece in the washing machine a go as people in the group were confirming it worked. 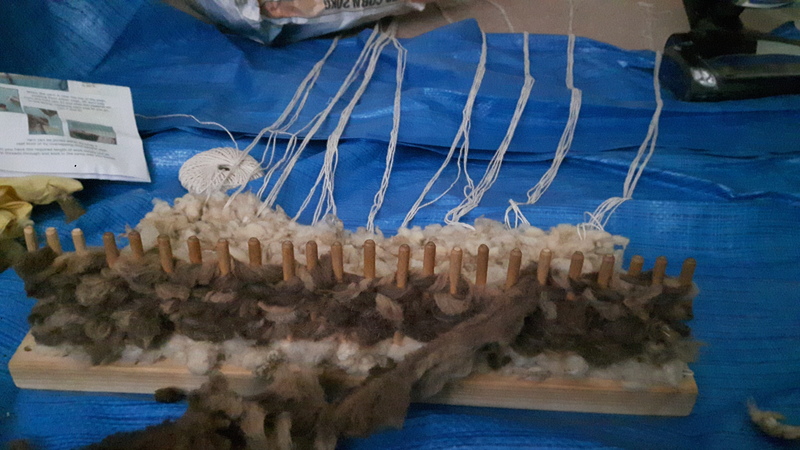 It was a bit terrifying and I did felt one (used a denim cycle instead of wool as they are next to each other) but it is working well and I think I could get through a lot of fleece this way! The fleece shown was very dirty to start with and was a bit dirty after the wash so I put it through for a second run. It came out cleaner but still a bit dirty on the tips. It wasn’t a great one to start with but it didn’t felt, the body side is a bit more tangled on the net bag one though, not quite felted but you can see it starting. I’ll go with pillow cases from here on out. The drum carder got a dusting off due to another smallholder in the group being excited about them and getting one. I carded my freshly washed wool and set about making a new sheep. It’s very different working with carded wool than with raw fleece, the sheep has been a lot easier to put together and isn’t half as lumpy. I’m still working on getting the proportions right, the back legs are a bit thick, and the head is giving me some trouble but it feels like I am improving which is the aim. Now another friend is experimenting with acid dyes on spun wool and I’m starting to eye up my dusty dying kit and thinking about putting together that loom. 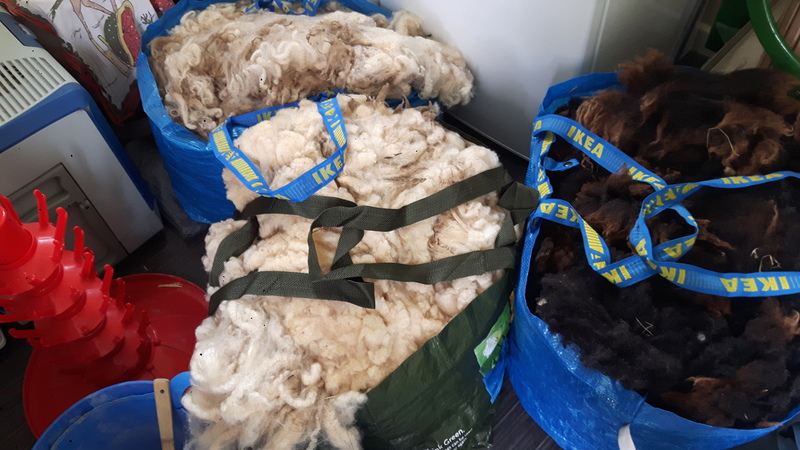 I have 5 reasonably sized white fleeces, 2 huge white fleeces, 1 huge black fleece and 19 of our own fleeces sitting around getting dusty so I have plenty to choose from for experiments. All in all I am feeling reinvigorated about crafting and I love it. It is something I have really missed. I know baby is due in August but I am hoping I can find some way to keep going to the meetings and keep a bit of me time for crafting this time around. In the meantime I’m going to get as much as I can made before baby arrives. Hopefully this has given you a bit of an intro about me as a crafter and will help my future posts make a bit more sense!